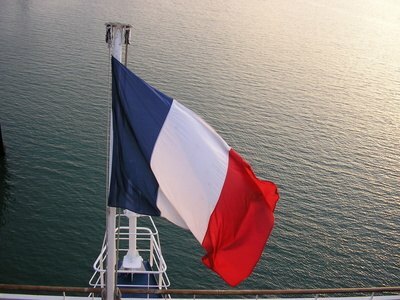 France is known for its natural beauty, romantic language, art and museums and, of course, its food. French food can sometimes seem impenetrably exotic to foreigners, but the basic French staple foods should be familiar to most people, albeit prepared with a special style and flair. France is particularly known for its food and art. Many French recipes feature butter, contributing to the “French Paradox”, i.e., that the French are thinner and healthier than Americans even though their foods contain ingredients known to cause obesity and ill-health. Butter is used not only as a spread and in compound butters (butter with added ingredients such as garlic or cinnamon) but is an ingredient in many sauces, including cream, bechamel, veloute, white sauce, mousseline and hollandaise. Butter is also used in croissants, cookies, cakes and frostings. 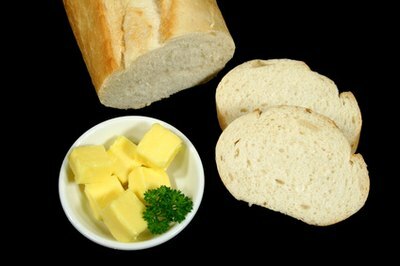 Butter is used in French sauces, spreads and pastries. France has a reputation for fine wines, and red wine is often a cooking staple. Red wine is used as an ingredient in sauces and dishes such as beef stew (boeuf bourguignon), French onion soup and coq au vin. Of course, you can enjoy a glass or two with your meal as well. Red wine is not only tasty but is said to have antioxidants called resveratrol. Red wine is used in recipes such as beef stew and coq au vin. Shallots, with their light and delicate taste, are often used as seasoning in French recipes. Though to many people shallots are synonymous with French food, they may have originally come from the Middle East or Asia. French shallots look a great deal like garlic, but taste much more like a mild onion. Shallots are often roasted or caramelized, and used to accompany green beans, veal, fish, filet mignon and chicken. They are also often an ingredient in sauces or in soups, dressings and stocks. 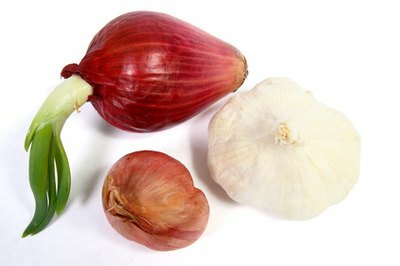 Shallots resemble garlic, but taste like onion. After wine, cheese may be the one staple food most associated with France. Almost every region of France produces some kind of special cheese, which can be made not only from cow’s milk but also milk from ewes and goats. French cheese can be be blue, white, yellow and many shades in between. They can also range from very soft to hard enough to grate, and can be either salted or unsalted, cooked or uncooked. Cheese is eaten alone or in soups, souffles, tarts, and, of course, fondue. 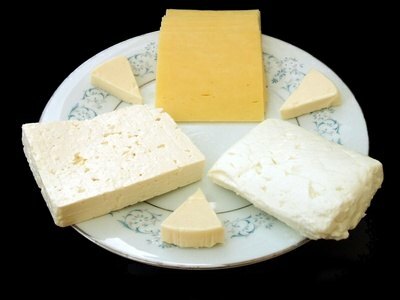 French cheese comes in many varieties. French At a Touch: Chefs Secrets-How Do They Do It? Mayo Clinic: Red Wine and Resveratrol-Good for Your Heart? What Is the Meaning of Exotic Food?